Heading south of the river is enough to make die-hard North London kids shudder. I know because I was one of them before buying a flat in the deeply southern pocket of Croydon. These days I'm a huge advocate for the variety South London has to offer across her boroughs, taking time to sink my teeth into the sights, sounds, & snacks. Let's dip our toes in South London. Moving here in 2017 was a bit of a punt on my part, not in terms of where I was buying or the level of gentrification happening in the area but in that, I'd only visited a handful of times but there was something that felt oddly at home here. One thing people don't bank on is the incredible art and architecture greeting you immediately as you leave East Croydon Station. Croydon is a hotbed of creative talent, and it shows in the street art. From the floors to the highest walls, the likes of Dot Masters, Mr Doodle, Alec LDN, Rich Simmons, & Ben Eine have lent their skills to colouring in the city, thanks in no small part to Rise Gallery. They've been instrumental in painting the town red, blue, yellow, pink...you catch my drift. It's truly wonderful to see and pieces are regularly updated or new art added. Take a Rise Gallery tour to get under the surface of the scene. When the tour is over take a moment to lap up Croydon's other love: the dessert. Step through Boxpark, stopping for a Dum Dums' Galaxy Cronut is obviously a must, but there are a couple of local-owned spots which are highly deserving of your time & tastebuds. Head to Croydon's ever-booming 'Coffee Corner' to get your face around one of Be Right Bake's brioche-style buns. Light, fluffy and with the added novelty of syringes of sticky sweet fillings. Now, newest kids on the block are Crepes & Cones, founded by local musicians Krept & Konan (see what they did there? ), are serving up next level tummy-busters in surroundings which are a feast for the eyes too. Arts & Crafts, the Dog & Bull, and Mathew's Yard on and near Surrey Street Market respectively are three of my favourite watering holes with outdoor seating to boot. One of South London's most attractive parks, Norwood Grove balances wild woodlands with pristine gardens while boasting panoramic views to boot. A perfect spot to sit & linger, to enjoy an epic read or a simple quiet moment among the roses. At your leisure, keep walking towards Streatham and natural woodland will lead you to The Rookery where grassy slopes hold picnickers & tanners as you meander towards the simply lovely gardens at the bottom of the hill. All that walking works up an appetite so thankfully The Rookery Cafe is right around the corner. This is not your typical park cafe, no sir. Soggy bread and The Rookery Cafe's stellar menu featuring healthy wholefood salads and classic breakfast baps, sweet treats and Caravan coffee, served up by chatty staff in a quaint setting for a reasonable price given the quality of produce, service & setting. 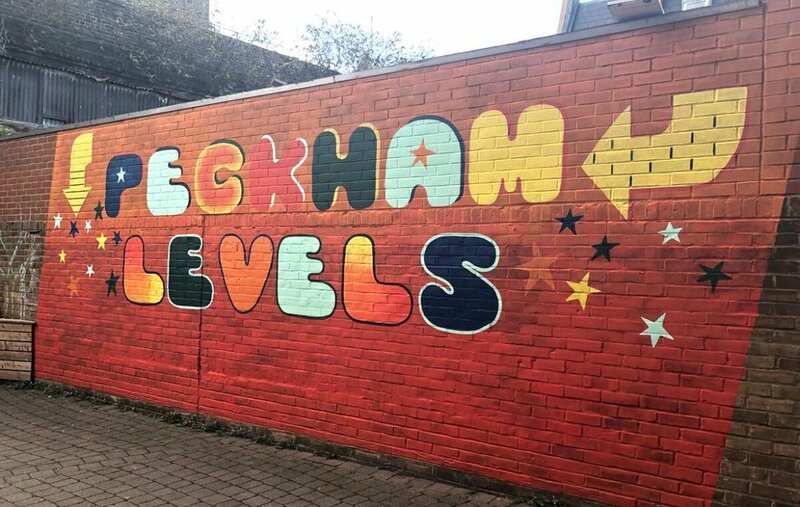 Hardly a shocker given this edgy location is hipster central, but Peckham is a hotspot of good times, whether puns & arcade classics are your vibe or chilling in a car park. No, not kidding. Between the Bussey Building, Peckham Road & Copeland Gallery, you really don't have to step far from the station for decent street art but I urge you to venture a little further afield to the likes of Mission Place for striking murals by Run. Fuel up at Bahn Bahn. Don't ask questions, just go. This family-run Vietnamese kitchen is out of this world and will far surpass anything else you put in your mouth, while in Peckham at least. Following such pho-nomenal eats calls for a trip down memory lane and Four Coins is my go-to. Arcade classics and deliriously delicious grilled cheese sandwiches, all named in particularly punny ways, team up for an A+ nostalgia trip. 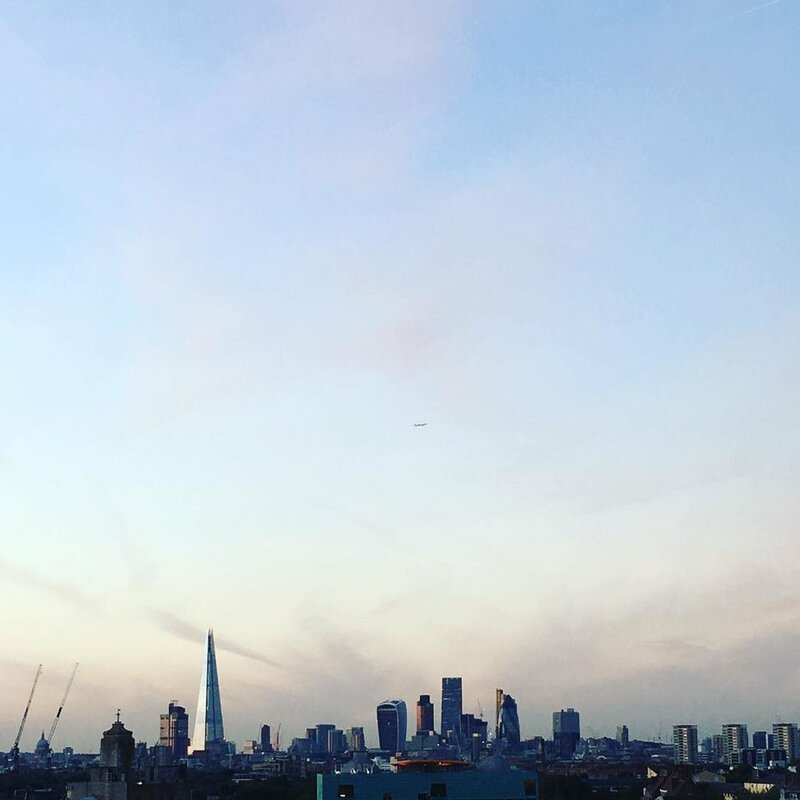 If drinks with a view are more your kind of poetry, Peckham Levels &, in summer months, Franks Rooftop Bar for supreme views over our fair city washed down with craft beers, cocktails and the finest gyoza ever to enter my face thanks to Hao Hao Chi. A few cute cafes are dotted around Forest Hill but the main draw for me personally is Horniman Museum & Gardens. A modest park surrounds the Victorian building housing a natural history museum guiding visitors around the complex wonders of evolution, and internationally important collections of anthropology and musical instruments. There's also an acclaimed aquarium, a Butterfly House and farm complete with alpacas sporting wicked hair dos and a badass giant rabbit. I'll stop gushing now, for a second anyway. You've got a couple of options once the Horniman has been explored to the max. Hop down to explore the boujie blocks of East Dulwich where dodging pushchairs and babycinos is totally worth it for how darn cute the area as a whole is, and how gorgeous their parks are. Option two, pick up Capital Ring and swing by Camberwell Old Cemetery. It's gorgeous & gothic, ideal for something to do during seance weather. Now, Crystal Palace is pretty underrated, unless you're into football and even then it's not Stanford Bridge, but there are dinosaurs. Seriously. CPP is home to a number of sphinxes & a dinosaur hideaway so fuelled up on good things from Four Boroughs Coffee, embracing the wilderness of weirdness is made simple, enjoyable, & remarkable. Brunch, beers & brews are all covered in a very real way on what is a pretty short high street. Four Boroughs is a small independent coffee shop on Church Road who serve up goodness as standard. A nitro cold brew surrounded by good vibes, good views and good things was just the ticket to start my day right. Brown & Greens provides a hearty & healthy refuel - the veggie brekkie was divine. Added points for community vibes, al fresco seating and a very cute pup called Phoebe.